The Los Angeles Dodgers (8-10) snapped a six game losing streak yesterday, taking one of three games over the weekend against the Baltimore Orioles. So far it’s been a frustrating start for the Dodgers to say the least. First, Hanley Ramirez starts the season on the DL, then, Zack Greinke breaks his collarbone in a bench-clearing brawl with the San Diego Padres, and now Chad Billingsley got placed on the 15-day DL yesterday with discomfort in his throwing elbow. It doesn’t help that the rest of the National League West division has been playing great baseball during the Dodgers’ struggles. The Dodgers will begin a three-game series with the New York Mets tomorrow, and then travel back to Los Angeles to face the Milwaukee Brewers over the weekend. It’s been somewhat of a shock around the baseball world to see the Rockies at the top of the National League West division, at least for the time being. This team can flat-out hit the baseball, with Carlos Gonzalez, Troy Tulowitzki and Dexter Fowler leading the way. Opposite of the Dodgers, the Rockies snapped a seven-game winning streak yesterday against the Arizona Diamondbacks. Unfortunately, Colorado was hit by the injury bug this week as well, when starting pitcher Jhoulys Chacin got placed on the 15-day DL with a back strain. The Rockies will begin a three-game series tonight with the Atlanta Braves at home, and will follow that up with a four-game series on the road against the Diamondbacks starting Thursday. Reason to be worried (as a Dodger fan): The Rockies offense ranks first in baseball with a .282 team batting average. Reason to be optimistic (as a Dodger fan): This Rockies offense will eventually fall off a bit during the long season. Biggest contributor: Troy Tulowitzki, hitting .328 with six home runs and a team-leading 17 RBIs. Biggest disappointment: Jeff Francis, with a 1-1 record and 8.25 ERA in three starts. Biggest surprise: Jhoulys Chacin, with a 3-0 record and 1.46 ERA in four starts. The defending World Series champs are coming off a three-game sweep against the Padres. It was much-needed after the Giants got swept in a three game series against the Brewers. They will be in the race for the long haul once again, with a legit starting five and timely hitting. The bullpen has been one of the brightest spots for this team, making it difficult to beat them if they have a lead after seven innings. Believe it or not, Barry Zito has been their most reliable starter so far this season, posting a 3-1 record with a 3.42 ERA in four starts. The Giants will start a three-game series tonight against the Diamondbacks at home, and then will begin a three-game series over the weekend with the Padres in San Diego. Reason to be worried (as a Dodger fan): Matt Cain (7.15 ERA) and Ryan Vogelsong (5.89 ERA) will eventually come back to earth. Reason to be optimistic (as a Dodger fan): The Giants’ offense ranks 24th in baseball with just 11 home runs this season, so they won’t usually beat you with the long ball. However, the Dodgers rank even lower than that with 10 home runs so far this season. Biggest contributor: Pablo Sandoval, hitting .290 with three home runs and team leading 17 RBIs. Biggest disappointment: Buster Posey, hitting .232 with one home run and eight RBIs. Biggest surprise: Brandon Crawford, hitting .317 with three home runs and seven RBIs. The Diamondbacks have surprised some people to start the 2013 season. After trading away all-star Justin Upton in the offseason, they have taken on a new approach of grinding out wins. 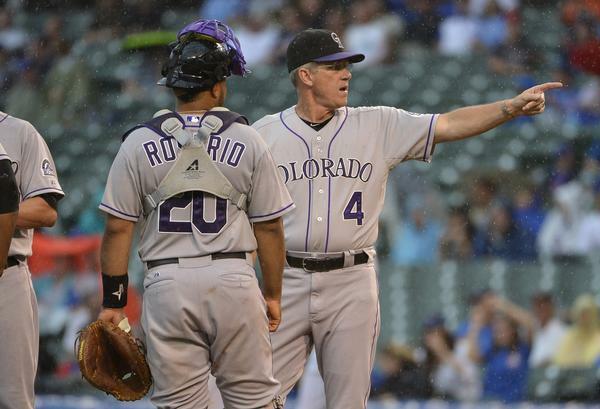 They lost two of three games over the weekend in Colorado against the hot-hitting Rockies. Their pitching staff currently ranks eighth in baseball with a 3.44 team ERA, while their offense ranks ninth in baseball with 84 runs scored through the first 18 games of this season. Without Upton, the Diamondbacks are finding ways to win and sit just three games out of the National League West division. However, they lost one of their key contributors last week due to an injury — starting second baseman Aaron Hill, who got placed on the 15-day DL with a broken left hand. They will start a three game series tonight in San Francisco, and then will return home to play four games against the Rockies starting on Thursday. Reason to be worried (as a Dodger fan): The Diamondbacks will be one of those teams that stick around for most of the season and will try to knock you out of playoff contention. Reason to be optimistic (as a Dodger fan): The Diamondbacks don’t have that one player in their lineup that strikes fear into the opponent. Biggest contributor: Paul Goldschmidt, hitting .329 with three home runs and a team-leading 13 RBIs. Biggest disappointment: Brandon McCarthy, with an 0-2 record and a 7.06 ERA in four starts. Biggest surprise: Gerardo Parra, hitting .289 with one home run and three RBIs. Every Dodger fan is now forever rooting against the Padres for obvious reasons, and the team sits in last place in the division. The Padres got swept over the weekend in San Francisco and haven’t had too many bright spots so far this season. Their 4.49 team ERA ranks them in the bottom half of baseball and they have allowed the fourth-most home runs in baseball with 23 this season. Surprisingly, the Padres’ success this season has come against the Dodgers. The Padres will begin a six-game home stand tonight with three games against the Brewers, and then three games against the Giants over the weekend. Reason to be worried (as a Dodger fan): Four of the Padres five wins this season have come against the Dodgers. Reason to be optimistic (as a Dodger fan): The Padres don’t have the fire power to compete with a healthy Dodgers team. Biggest contributor: Yonder Alonso, hitting .262 with two home runs and team leading eight RBIs. Biggest surprise: Nick Hundley, hitting .320 with one home run and five RBIs. The reoccurring issue with Andre Ethier over the past few seasons has been his inability to hit left-handed pitching. It’s an issue that has put the Dodgers in frustrating situations when opposing teams happily bring in a left-hander out of the bullpen to put away Ethier in key moments late in a game. Over the past three seasons, Ethier is hitting just .225 against lefties, with a .276 on base percentage and a .324 slugging percentage. Those aren’t the type of numbers that the Dodgers have in my mind for their starting right fielder, who is due $13 million dollars this season. The Dodgers are just four games into the 2013 season, but Ethier’s early success against lefties has been a bright spot so far. It started on Tuesday night, when San Francisco Giants left-hander Madison Bumgarner was shutting down the Dodgers offense at a rapid pace for eight shutout innings. The Dodgers came out of the 3-0 loss with just two hits off of Bumgarner. However, Ethier had one of those two hits, when he doubled in the bottom of the second off of the 23-year-old. He ended up striking out in his last two at bats against the lefty, but that double down the right field line was a good sign. 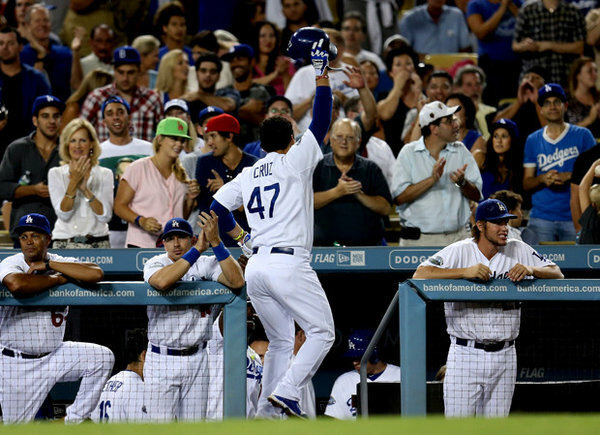 On the very next night, Ethier continued to show signs of improvement. The Giants decided to bring their lefty specialist Javier Lopez into the game to face Adrian Gonzalez in bottom of the sixth, and a strikeout was the end result. Lopez’s night would usually be over after that, but manager Bruce Bochy kept his guy in the game, daring Ethier to get a hit against the lefty specialist. Once again, Ethier roped a double down the right field line, forcing Bochy to use another arm out of his bullpen. Last night, Ethier was at it again. Jonathan Sanchez of the Pirates was on the mound, and it didn’t take Ethier long to keep this early success against lefties going. In the bottom of the second, Ethier sent a high fastball by Sanchez into the right field pavilion for a solo home run and his first long ball of the 2013 season. The Dodgers need Ethier in the lineup every day and if he can hit left-handed pitching consistently that’s where he’ll be. All of the talk of minor league super-prospect Yasiel Puig getting his shot this season with the Dodgers relies on Ethier’s ability to hit left-handers, and right now he’s getting the job done. It’s a pretty small sample size to get excited about, but this early success could be a sign of good things to come. NL West Rundown: Who will push the Dodgers this year? Opening day is here. Considered by many as just another day on the calendar, it’s far from it around the baseball world. All 30 MLB teams, 750 players and thousands of fans of their respective teams are never more optimistic than today, with the same goal of playing deep into October and winning the World Series. The National League West division of course has more than a few storylines entering this season. It’s a division headlined by the defending world champion San Francisco Giants and one of wealthiest teams in sports history, the Los Angeles Dodgers. The Giants and Dodgers should be the two ball clubs battling it out at the top of the division for most of the 2013 season, while the other three teams try to stay competitive and in striking distance during the dog days of summer. The defending World Series champs are basically going to battle with the same team as last season. After an offseason that included resigning Marco Scutaro, Angel Pagan and giving 2012 National League MVP Buster Posey a nine-year/$167 million contract extension. The Giants success over the last few seasons has been because of their starting rotation, and that won’t be any different going into this season either. Matt Cain, Madison Bumgarner and Ryan Vogelsong will hold down the front end of the rotation once again, with former Cy Young Award winners Barry Zito and Tim Lincecum at the back end. For whatever reason this team will probably be overlooked entering the 2013 season, but after winning two World Series Championships in the last three years overlooking this team again would be a travesty. Reason to be worried (as a Dodger fan): They won the 2012 World Series and nearly everyone from that team is returning in 2013. Do I really need to say anymore? Reason to be optimistic (as a Dodger fan): It’s tough to say if the Giants are improved going into the 2013 season, while the Dodgers offseason moves make them a lot better than last year on paper. 2012 Biggest contributor: Buster Posey, .336 BA, 24 HRs, 103 RBIs. 2012 Biggest disappointment: Tim Lincecum, 10-15, 5.18 ERA, 186.0 innings pitched. 2012 Biggest surprise: Marco Scutaro, .362 BA, 61 games, 44 RBIs. The 2013 Diamondbacks look a lot different from last year’s team that finished exactly at .500 (81-81). They decided to trade away 2011 Silver Slugger Award winner Justin Upton to the Atlanta Braves for Martin Prado and a couple of prospects. The trade was reportedly made to change the clubhouse mentality of the Diamondbacks, where manager Kirk Gibson wants to win with hard-nosed ball players that he can relate to. They also traded away last years starting center fielder Chris Young to the Oakland A’s for new starting shortstop Cliff Pennington. Arizona still made a few moves this offseason that could keep them in the division race this season. They signed veteran third baseman Eric Chavez, veteran right-hander Brandon McCarthy, outfielder Cody Ross and traded for veteran reliever Heath Bell. Despite an injury that will keep him out for the first couple of weeks to start the season, Arizona fans should be excited about their new center fielder, Adam Eaton. Even after losing a player of Upton’s caliber, it wouldn’t be a surprise if the 2013 version of the Diamondbacks sneaks up on teams and makes some noise in the NL West. Reason to be worried (as a Dodger fan): The new-look Diamondbacks could be a lot better than people think, especially with this new group of hard-nosed ball players. Reason to be optimistic (as a Dodger fan): The Dodgers can match up with this team from position-to-position on paper, but first need to put it all together on the diamond. 2012 Biggest contributor: Miguel Montero, .286 BA, 15 HRs, 88 RBIs. 2012 Biggest disappointment: Justin Upton, .280, 17 HRs, 67 RBIs. 2012 Biggest surprise: Wade Miley, 16-11, 3.33 ERA, 194-2/3 innings pitched. The Rockies were one of the most disappointing teams in baseball last season due to numerous injuries and one of the worst pitching rotations in baseball history. They ended last season with a four-man starting rotation and a league-worst 5.22 team ERA. In 2012, Rockies starters went a combined 29-68 with an atrocious 5.81 ERA. That was only one of the problems, though. It didn’t help that one of the game’s top players, shortstop Troy Tulowitzki, was injured for most of the season. Colorado looks to completely turn the page on last season’s disaster, hiring first-year manager Walt Weiss to run the show. It definitely doesn’t lack star power, with Tulowitzki, Carlos Gonzalez and a veteran Todd Helton featured in the middle of its lineup. If the Rockies can fix up that pitching staff from last season, meaning fix up by leaps and bounds, then this Rockies team could be a threat in the NL West. Reason to be worried (as a Dodger fan): A healthy Rockies lineup could give any team a headache. Reason to be optimistic (as a Dodger fan): If the pitching staff is anything close to what it was last season then the 2013 Dodgers lineup will be feasting every time they take on Colorado, especially at Coors Field. 2012 Biggest contributor: Carlos Gonzalez, .303 BA, 22 HRs, 85 RBIs. 2012 Biggest disappointment: Todd Helton, .238 BA, seven HRs, 37 RBIs. 2012 Biggest surprise: Tyler Colvin, .290 BA, 18 HRs, 72 RBIs. The Padres have new ownership entering this season. However, that’s probably not going to help them on the field right away. They finished in fourth place in the NL West with a 76-86 record last season, despite playing much better after the all-star break. The one bright spot was Gold Glove winning third baseman Chase Headley, who hit .286 with 31 home runs and led the National League with 115 runs batted in. Unfortunately, Headley will start the 2013 season on the disabled list after fracturing his thumb in a spring training game. The Padres will also be without starting catcher Yasmani Grandal to start the season because of a suspension for the first 50 games for testing positive for testosterone. 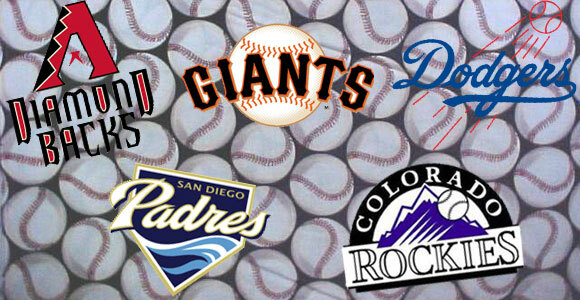 From the looks of it, it’s going to be an uphill climb for the Padres in the NL West in 2013. Reason to be worried (as a Dodger fan): Injuries can happen to any team at any time, so the Dodgers just need to worry about staying healthy. Reason to be optimistic (as a Dodger fan): Once again, the Dodgers could match up with almost every position with this team on paper, but you don’t win games on paper. 2012 Biggest contributor: Chase Headley, .286 BA, 31 HRs, 115 RBIs. 2012 Biggest disappointment: Cameron Maybin, .243 BA, eight HRs, 45 RBIs. 2012 Biggest surprise: Huston Street, 2-1, 1.85 ERA, 23 saves, 39.0 innings pitched. The Los Angeles Dodgers stay alive for another day, beating the San Francisco Giants last night 3-2 with a walk-off single from Elian Herrera in the bottom of the ninth. It was the sixth win in a row for the Dodgers, who with one more loss could be eliminated from playoff contention. A win by the St. Louis Cardinals yesterday keeps the Dodgers two games out of the final wild-card spot, so they will need some help from the Cincinnati Reds, who play the Cardinals on these final two days of the season. It has been fun to watch this Dodgers team regardless of what ends up happening, especially this last week when they haven’t given up, and are playing with the Dodger pride that has made this one of the most storied franchises in all of sports. Tonight’s pitching match-up will be a battle between two lefties, Chris Capuano against Barry Zito. Zito has actually had one of his best seasons as a member of the Giants, posting a 14-8 record with a 4.19 ERA in 31 starts this season. He has been a huge boost for an already dominant pitching staff and will be going for his fifth consecutive win tonight. The winning streak started back on August 9 against the Dodgers, when he pitched 6.1 innings, allowing four hits, zero runs, and struck out four. In his career against the Dodgers Zito has an 8-10 record with a 3.74 ERA. Capuano finally won a game in his last time out against the San Diego Padres, after going a month and a half without winning a start. He has a 12-11 record with a 3.69 ERA on the season, only three of those wins coming after the all-star break. The second half of the season has been tough on Capuano, but a win would be a nice way to go out. In his last three starts he is 1-1 with a 4.91 ERA. The career numbers for Capuano against the Giants aren’t anything to look forward to, posting a 1-6 record with a 5.21 ERA against them. Keep Fighting: The Dodgers need to focus on what’s in front of them, which is the San Francisco Giants. They can’t control what is going on in the St. Louis Cardinals game, and need to take care of the Giants first. If they continue to play with the fight and pride that they have been, things just might fall into place for the Boys in Blue. This has been a rollercoaster of a season and I’m sure I’m not the only one who wouldn’t mind extending this journey a little bit longer. The Los Angeles Dodgers (76-71) might have shifted their focus over to the Wildcard race, now trailing the San Francisco Giants by 8.0 games in National League West division, with just 15 games remaining. This past weekend the Dodgers split a four-game series against the St. Louis Cardinals (77-70), who currently lead the second wild card spot by 1.0 game. It was Dodgers journeyman Luis Cruz who quite possibly saved their season over the weekend with some crucial late game clutch hitting. However, the next six games for the Dodgers will determine their fate this season. They start a three game series on Tuesday with the Washington Nationals (89-57), which is the team that holds the best record in all of baseball. After that they will travel to Ohio to play the Cincinnati Reds (88-59), another first place team. This is without a doubt the toughest six games of the season so far, which could determine their 2012 playoff hopes. The Giants are now 21 games over .500 and sit comfortably with a 8.0 game lead in the division. They basically buried the Dodgers a couple of weekends ago, winning two out of three games in a pivotal series at home. Now, the Giants will play the rest of National League West division to finish off the season, with the last three games against the Dodgers. It shouldn’t be a problem for the Giants to wrap up the division before that final series against the Dodgers, considering all of the other teams they play have records below .500 and they play 10 of their last 16 games at home. 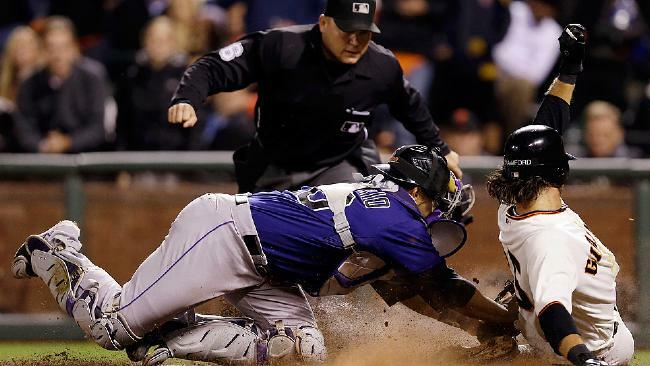 The Giants will start a four game series tonight at home against the Colorado Rockies. Reason to be worried (as a Dodger fan): The Dodgers might have missed their opportunity; it will be extremely difficult to fight off a 8.0 game deficit with just 15 games left in the season. Reason to be optimistic (as a Dodger fan): If the Giants wrap up the division before the final series of the season against the Dodgers they might be resting their starters in a series that could be very important for a Dodgers team fighting for a final wild card spot. Biggest contributor: Buster Posey, hitting .333 with 22 home runs and 93 RBIs. Biggest disappointment: Can I just put Melky Cabrera in this spot for the remainder of the season? Biggest surprise: Marco Scutaro, hitting .346 with two home runs and 31 RBIs in 47 games with the Giants. The Diamondbacks have been out of the division race for a while now, but they could be considered a long shot for the second Wildcard spot, trailing the Cardinals by 4.5 games. They will finish off their season playing 13 of their last 16 games against National League West teams, except the Dodgers. The Diamondbacks may already be looking ahead to the 2013 season because that Wildcard spot might be unrealistic with five teams ahead of them at the moment. The Diamondbacks will kick-off a three game series at home on Tuesday against the San Diego Padres. Reason to be worried (as a Dodger fan): It’s hard to imagine the Diamondbacks being any kind of threat to the Dodgers for the rest of the 2012 season. Reason to be optimistic (as a Dodger fan): The Diamondbacks can’t play spoiler in any way against the Dodgers for the rest of the season. Biggest contributor: Jason Kubel, hitting .255 with 29 home runs and 86 RBIs. Biggest disappointment: Chris Young, hitting .227 with 14 home runs and 39 RBIs in 94 games this season. Biggest surprise: Wade Miley, in 26 starts has a 15-10 record with a 3.10 ERA. It would be pretty amazing if the Padres could finish at third place in the division after being one of the worst teams during the first half of the season. The Padres have been one of the toughest teams in baseball since the All-Star break, literally refusing to lose against the contenders. This team has become the ultimate spoiler and now no team wants to face them. The Padres are 8-2 in their last 10 games and helped the Dodgers out a bit last week when they swept the Cardinals. They will play their final 12 out of 15 games against National League West teams, with three of those games next week against the Dodgers. The Padres will start a three game series on the road against the Diamondbacks on Tuesday. Reason to be worried (as a Dodger fan): That series against the Dodgers next week will be on the Padres radar, hoping to spoil one of their rivals chances at a postseason opportunity. Reason to be optimistic (as a Dodger fan): On paper the Dodgers line up is much better than the Padres, but they will have to prove it during that three game series in San Diego next week. Biggest contributor: Chase Headley, hitting .284 with 28 home runs and 104 RBIs. Biggest disappointment: Cameron Maybin, hitting .248 with seven home runs and 43 RBIs. Biggest surprise: Logan Forsythe, hitting .297 with five home runs and 23 RBIs in 79 games. If it wasn’t for the Houston Astros (48-99) the Rockies would be in a battle for the worst record in baseball. This team is filled with talent, but injuries have definitely played a role during this atrocious season. When you lose a player of Troy Tulowitzki’s caliber, it’s hard to come back from that. That doesn’t put aside the horrid 5.15 team ERA that they have posted this season. The Rockies will play 14 of their final 17 games against the National League West, three of those games coming on Sept. 28-30 at Dodger Stadium. The Rockies will start a four game series tonight against the Giants on the road. Reason to be worried (as a Dodger fan): The later into the season you get, the more important these games become. So Sept. 28-30 should be crucial for the Dodgers. That series could end up being the highlight of the Rockies season if they can knock the Dodgers out of the wild card race. Reason to be optimistic (as a Dodger fan): That 5.15 team ERA is the worst in all of baseball. Biggest contributor: Carlos Gonzalez, hitting .308 with 22 home runs and 85 RBIs. Biggest disappointment: You should know that team ERA by now right? Biggest surprise: Eric Young Jr., hitting .316 with four home runs and 15 RBIs in 98 games. 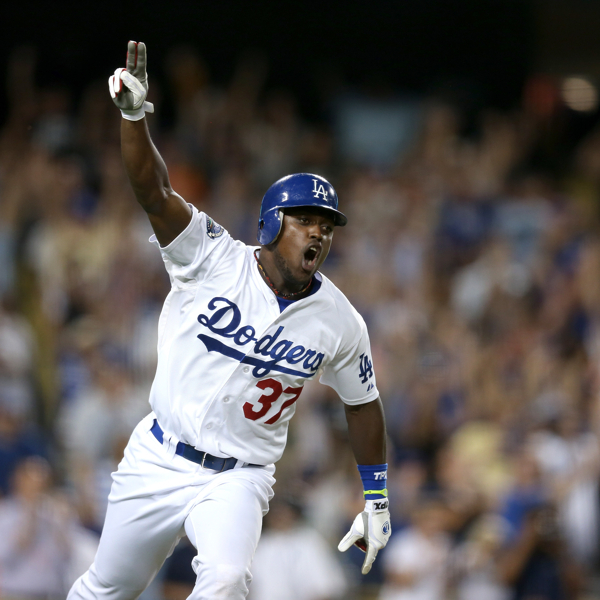 The Dodgers dropped Game One last night, 5-2 against the San Francisco Giants. It was a loss that stings a little bit more than most, now trailing the Giants by 5.5 games in the National League West. If the Dodgers can take the next two games in San Francisco, this division will be far from over, but they face a tough task tonight. The Dodgers will send left-hander Chris Capuano to the mound for Game Two. Capuano has been dominant at times during this long season, except during the second half, where he has struggled to find that dominance. 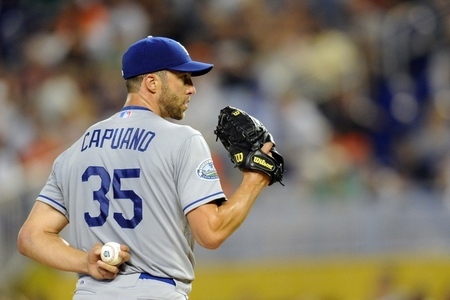 On the season Capuano is 11-10 with a 3.63 ERA, only two of those wins coming after the All-Star break. It was on August 12th against the Miami Marlins when Capuano last picked up a win, which was arguably his best start of the season. He went 8.0 innings, allowing two hits, no runs, and struck out 10 in that game. However, it hasn’t been all that great when Capuano faces the Giants, with a 1-6 record and 5.58 ERA in his career against San Francisco. The Giants will counter and send one of the National League’s best pitchers to the mound, Matt Cain. Cain has now been labeled as the Giants ace with Tim Lincecum having a not-so-good year, well when he isn’t pitching against the Dodgers. It was earlier this season when Cain put the entire baseball world on notice, pitching a perfect game on June 14 against the Houston Astros, one of the most dominant performances that baseball fans had seen in quite some time, finishing the game with 14 strikeouts. Cain has a 13-5 record with a 2.98 ERA on the season. Fortunately, the Dodgers have found ways to beat this big right-hander, who has a 4-8 record and 3.45 ERA in his career against them. Although Cain did win the last time he faced the Dodgers on August 22 at Dodger Stadium. He went 7.0 innings, allowing seven hits, one run, while striking out five in that one. The Dodgers need to make Matt Cain throw a lot of pitches and force the Giants to use their bullpen early on. In Cain’s last start against the Chicago Cubs, he only managed to make it through 5.0 innings after allowing five runs. If the Cubs can knock the Giants ace out of the game that early then the Dodgers certainly can. It will be crucial for this to happen if the Dodgers want to win, because if Cain is going seven or eight innings it’s not a good sign for the boys in blue. It’s September, and the pennant races are heating up all around baseball, especially in the National League West, where the Giants (77-59) currently hold a 4.5 game lead over the Dodgers (73-64), while the rest of the division sits back and looks forward to the 2013 season. There are six games remaining between the two teams, with three to be played this weekend in San Francisco. Unfortunately, the Dodgers haven’t been able to gain any ground on the Giants these last couple of weeks due to their inconsistency on offense, making for an even bigger match-up up North over the weekend. The remaining schedule definitely favors the Giants over the Dodgers. Other than the six games against the Dodgers, San Francisco plays the other three National League West teams for the remainder of the season. On the other hand the Dodgers play two first place teams in the Washington Nationals and Cincinnati Reds three times each. They also play four games against the St. Louis Cardinals, who currently hold one of the National League wild card spots. This last month is going to come down to how the Dodgers play in games against the top teams around the league, and of course the six remaining games against the Giants. The Giants seem to lose when the Dodgers lose and win when the Dodgers win, keeping a 4.5 game lead going into this weekend’s big match-up. They just lost two out of three games to the Diamondbacks at home, while the Dodgers did the same against the Padres. This weekend the Giants will send Tim Lincecum, Matt Cain, and Barry Zito to the mound against Los Angeles. If the Giants can take two out of three games against the Dodgers that can extend their lead to 5.5 games and dig a deeper hole for the Dodgers to get out of. This is going to be the biggest series in baseball over the weekend. Reason to be optimistic (as a Dodger fan): The Giants offense has been hitting the ball well lately, which is a surprise since they lost Melky Cabrera. However, the long ball is something they shouldn’t be able to beat you with, as they rank last in all of baseball in home runs with 82. Biggest contributor: Buster Posey, hitting .326 with 19 home runs and 85 RBIs. Biggest disappointment: Hunter Pence, hitting .234 with two home runs and 25 RBIs in 34 games with the Giants. Biggest surprise: Marco Scutaro, hitting .325 with two home runs and 24 RBIs in 38 games with the Giants. The Diamondbacks find themselves 9.5 games out the division and just about out of a chance to return to the postseason. Last month the D-Backs looked like they had one last run in them but couldn’t find a way to get it done. Now its baseball, so I’m not saying this team is completely out of it yet, crazier things have happen. They have been a pain for the teams fighting for a postseason berth, splitting a four-game series against the Dodgers and taking two out three games from the Giants. I can guarantee you that Manager Kirk Gibson will have this team playing with the same fire that he had as a player, until the very end. Reason to be worried (as a Dodger fan): The Diamondbacks have given the Dodgers a hard time this season, with a 10-6 overall record against Los Angeles. Reason to be optimistic (as a Dodger fan): Luckily for the Dodgers, they only see the D-Backs two more times this season, next week. The Giants have to play this scrappy D-Backs team six more times on the year. Biggest contributor: Jason Kubel, hitting .262 with 27 home runs and 82 RBIs. Biggest disappointment: Justin Upton, hitting .271 with 12 home runs and 55 RBIs., a huge drop off from his 2011 season: .289 BA, 31 HR, 88 RBIs. Biggest surprise: Wade Miley, 14-9 record with a 2.90 ERA in 24 starts on the season. I guess you can say the All-Star break did the Padres well, as they have been the hottest team in baseball since then. As of right now, no team in baseball wants to play the Padres. They just took two out of three games against the Dodgers, which kept Los Angeles at 4.5 games back in the division instead of 2.5 games. This team is truly playing spoiler and are having fun while doing it. A complete turnaround from the first half of the season has their future looking very bright all of a sudden in sunny San Diego. Reason to be worried (as a Dodger fan): The Padres are one of the hottest teams since the All-Star break and are taking pride in playing spoiler from here on out. Reason to be optimistic (as a Dodger fan): Despite the huge improvement the Padres are still ranked in the bottom half of the National League with .244 team batting average. Biggest contributor: Chase Headley, hitting .285 with 24 home runs and 94 RBIs. Biggest disappointment: Cameron Maybin, hitting .240 with six home runs and 39 RBIs. Biggest surprise: Chris Denorfia, hitting .290 with six home runs and 30 RBIs. The Rockies have been playing a lot better baseball as of late then they were the last couple of months. They will try for a four-game series split today against the Wildcard-leading Atlanta Braves. A win could actually benefit the Dodgers, who are just 1.5 games out of the wild card. The pitching problem for Colorado has never been solved and next year they announced will be again a four man rotation. It’s been miserable for the Rockies pitching staff this season, labeled as the worst in all of baseball. If this team wants to play spoiler they can take that role with some big games coming up against the Dodgers and Giants. Reason to be worried (as a Dodger fan): The Rockies can completely ruin the Dodgers playoff chances when they play three big games at Dodger Stadium on September 28-30. Reason to be optimistic: They continue to hold the title for the worst team ERA in all of baseball, 5.14 ERA on the season. Biggest contributor: Carlos Gonzalez, hitting .310 with 22 home runs and 83 RBIs. Biggest disappointment: Drew Pomeranz, 1-8 record with a 4.93 ERA in 17 starts. Biggest surprise: Josh Rutledge, hitting .329 with seven home runs and 27 RBIs in 46 games.